The lamb price bounce continued this week despite a bit of a lift in yardings. The direct to works supply appears to have weakened, with plenty of competition back at the saleyards. All this despite the stronger Aussie dollar which is not doing great things for our export competitiveness. Figure 1 shows the significant bounce in the Eastern States Trade Lamb Indicator (ESTLI) with the indicator hitting 628¢/kg cwt, a 20¢ rise for the week. 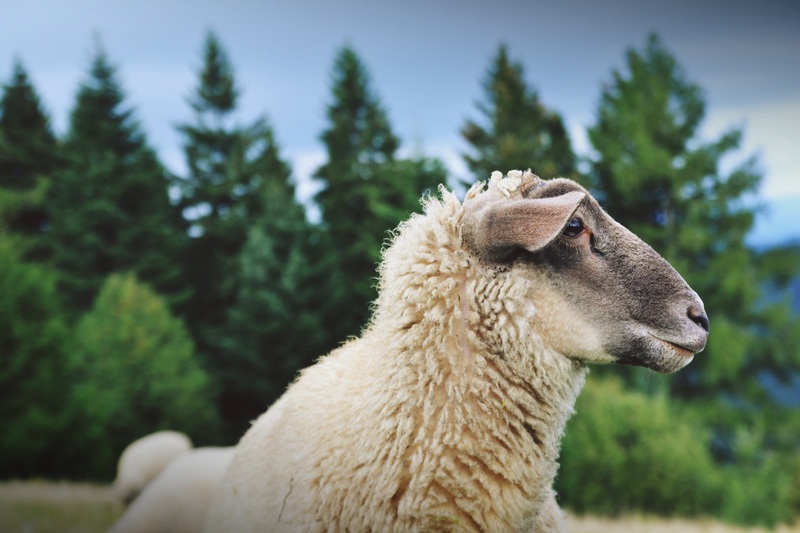 This week’s lamb prices were at a four week high, but still lag the exceptional values of April to June. Price increases were general across the states, and in mutton as well. But one that caught our eye was an 88¢ increase in light lambs in SA, with prices back at 627¢. A solid 99¢ premium to SA trade lambs, which doesn’t make a lot of sense. Buyers could get a 16kg lamb for $100 plus skin, or a 20kg lamb for $105 plus skin. Figure 1 shows the forward contracts which were available back in May and June. 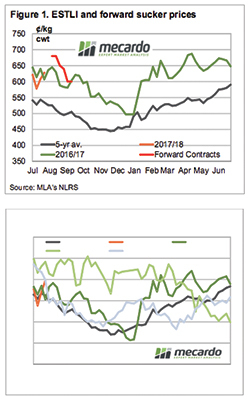 If growers who took contracts have been able to get suckers up, they will enjoy a solid premium to the spot market, at least in the first couple of weeks of August. The rising Aussie dollar has been the bane of grain growers over the last few weeks; it’s now up to 79¢. This puts the ESTLI in US dollar term back at 500¢, around 20¢ below the April high, but getting expensive none-the-less.